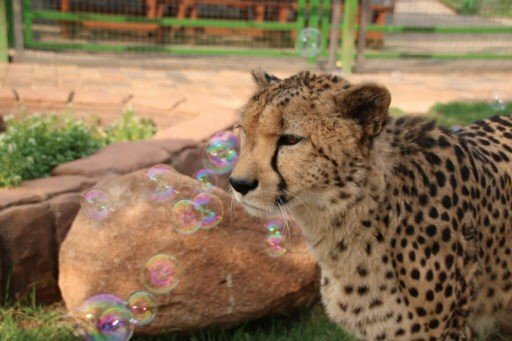 The two-week South Africa Zoo Medicine program is based at Lory Park Animal and Owl Sanctuary in South Africa. 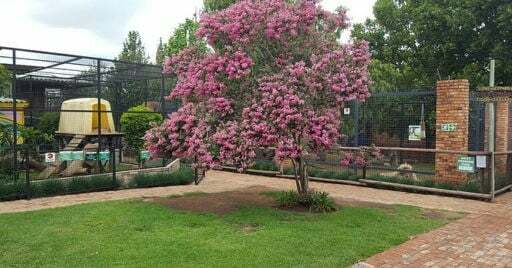 Lory Park is one of only six zoos in Africa accredited by the Pan African Association of Zoos and Aquaria, with a focus on education and conservation. 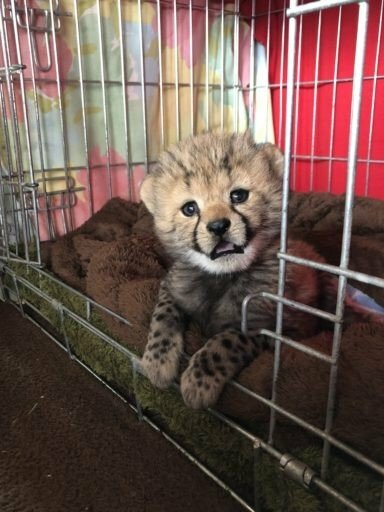 Your program will focus on understanding the anatomy, handling, medical needs in captivity, behavior, and conservation of six main groups of animals at the park: birds of prey, reptiles, big cats, small cats, cubs, and primates. Your work with and coursework about these animals will be supplemented by veterinary labs such as necropsies and lectures from veterinarians and expert guests. In addition, we will spend a weekend on safari in the Pilanesberg Game Reserve, one of the largest in South Africa and home to elephants, rhinos, leopards, buffalo, lions, zebras, giraffes, cheetahs, hippos, crocodiles, and hundreds of other species. 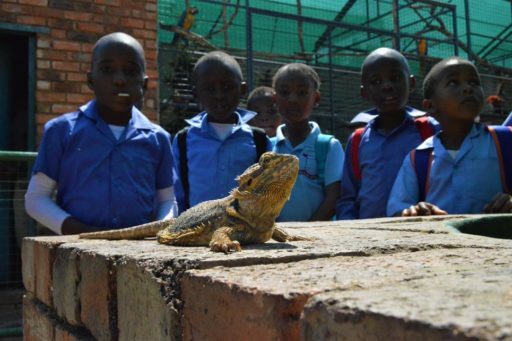 The program course, “South Africa Zoo Husbandry and Management”, is a 3-credit course that includes observing and learning about the animals at the zoo and learning from your veterinary (DVM) trip leader and zoo staff in the classroom, in the lab, and throughout the zoo. The program is open to anyone age 18-23. Each group of up to 8-12 students will have its own veterinarian and the groups will share site staff. Two-day safari in Pilanesberg reserve to spot elephants, giraffes, and more! Note: There will be two groups available on each date. If you want to be in the same group as someone else who is enrolling, please let us know. *Loop Abroad reserves the right to cancel any program at any time; in case of such cancellation by Loop Abroad, all payments will be returned in full. Want to travel longer with us? Add another two-week program in Thailand, Australia or South Africa and save 10% on each program tuition. This program can be combined seamlessly with our South Africa Veterinary Service program for a full four weeks of veterinary courses in South Africa. Programs begin and end in South Africa on Sunday, so you can go directly from one program to the next, with no additional airfare. You will receive a 10% discount on each program tuition for combining the two programs. 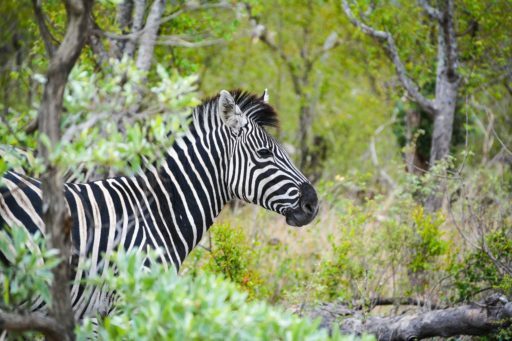 If you prefer this option, select the May 18 – June 3 dates for this South Africa Zoo Medicine program and the June 1 – June 17 dates for the South Africa Veterinary Service program. Regular tuition is $3,850 for the two-week program, all-inclusive less airfare. There is a 10% tuition discount for combining this program with another 2-week program. Tuition is all-inclusive less airfare. Tuition does not include medical insurance, passport, snacks and souvenirs. Airfare on the group flight from New York, NY is $1,625 round-trip including taxes and fees. Participants must fly on the group flight unless otherwise arranged with Loop Abroad (fees apply to flying off the group itinerary). You can receive 3 credits from Iowa Wesleyan University for this program. (Additional fee applies.) Loop Abroad can also assist you in working to get credit directly from your school. Participants will earn 60 veterinary hours and 10 research hours. You will receive a certificate for 80 service hours upon program completion. Groups will have a maximum of 12 students each, with up to two groups on the project at a time. Your group will have its own veterinarian and you may learn from other Loop veterinarians, zoo staff, zoo veterinarians, and local experts as well. During this program, we will live on the grounds of the Lory Park Zoo. Housing is in dorm-style rooms, and you will share rooms with other Loop students of the same gender. Bathrooms are shared. Students are not permitted to leave the grounds of the zoo except when we travel off-site as a group. Free wi-fi is available throughout the zoo grounds. Meals are included in your tuition and will be eaten at the zoo, including a simple buffet-style breakfast (coffee, cereal, milk, toast, jam, fruit, and eggs, for example) and set meals for lunch and dinner. Vegan and vegetarian diets, as well as food allergies, can be accommodated with advanced notice. There are also refrigerators and a kitchen to store and cook your own snacks. During the middle weekend of your program, housing and meals are included in your safari tour. 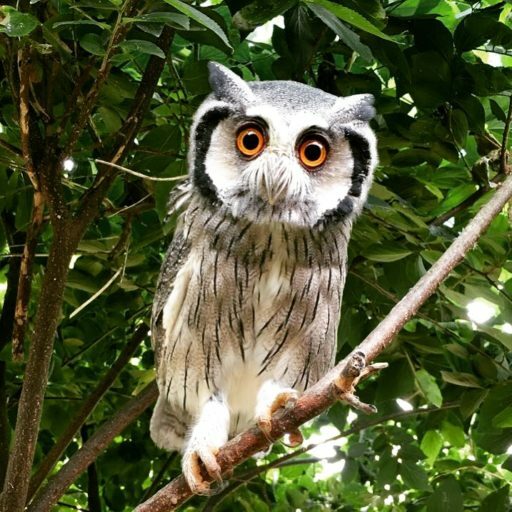 Midrand’s Lory Park Animal and Owl Sanctuary is located in Johannesburg, South Africa. 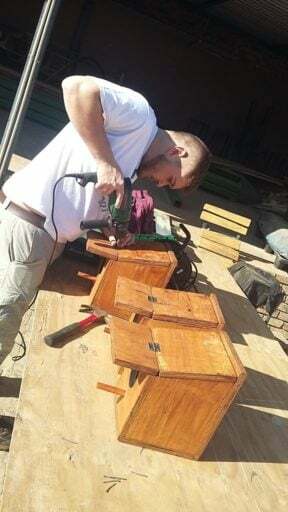 (Johannesburg is the start and end point of our South Africa Veterinary Service program, which makes these programs very easy to join into a one-month adventure.) 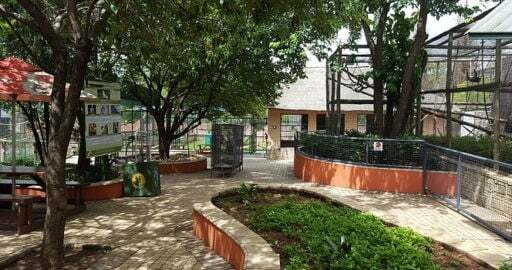 Lory Park is one of only six institutions in Africa to be accredited by the Pan African Association of Zoos and Aquaria, which is indicative of their high standards of safety, veterinary care, animal diets and enrichment practices, and overall welfare of the animals in their care. Additionally, the park is one of four African institutions granted membership to the International Zoological Educators. 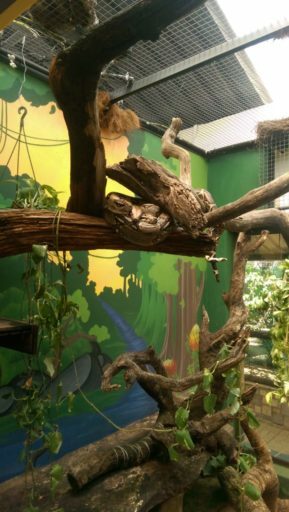 As you can see, cats, birds, primates, and reptiles make up the majority of the animals that you will work with at Lory Park. 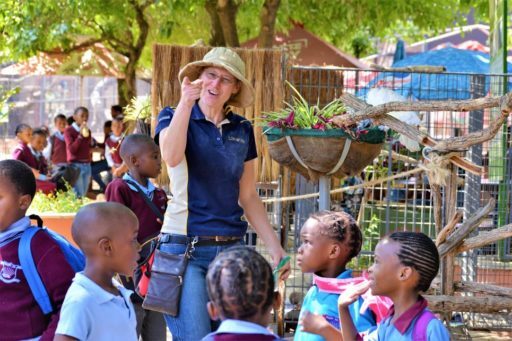 The park has a focus on education and conservation, and you will get the chance to visit two schools in the community to help teach about the importance of animals and conservation. Lory Park is involved in researching and breeding black-footed cats, and students will get to observe and participate in this research. Black-footed cats are difficult to breed in captivity, so their successful breeding pair is an important contribution to the survival of this vulnerable animal whose population is decreasing in the wild. You will notice that other than cats and primates, the park does not have many of the large “zoo animals” you might expect, such as elephants, giraffes, hippos. Fortunately, you will have the opportunity to see these and many more African animals on your weekend safari. 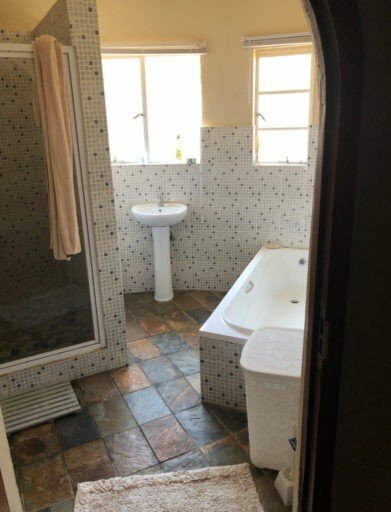 We will have a two-day safari to Pilanesberg National Park, the fourth largest game park in South Africa and home to elephants, rhinos, leopards, buffalo, lions, zebras, giraffes, cheetahs, hyenas, hippo, crocodiles, jackals, wild cats, various antelope species, and hundreds of bird species. Here, guided drives will give us a chance to see lots of African animals in the wild and explore a bit outside of the zoo complex. This is a sample itinerary and is subject to change. It is provided here to give you a feel for your program. 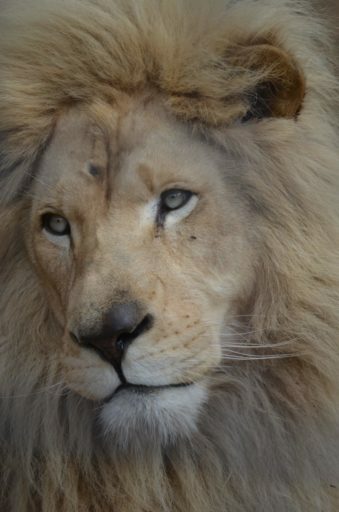 You will arrive in Johannesburg on Sunday and we will travel to Lory Park Zoo as a group. Settle in and get oriented, get to know one another, and learn some of the basics of zoo life, because on Monday we have a full-day orientation to our new zoo home, including a tour, introduction to projects, safety training, and an introduction to the animals we’ll be working with during the project. 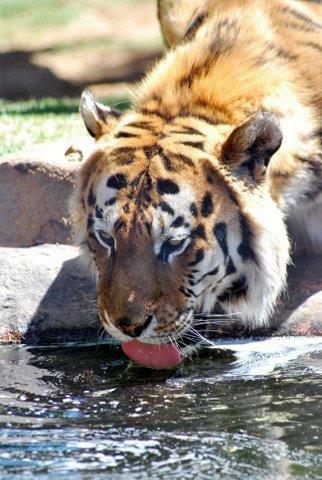 Animal upkeep such as enclosure cleaning and food preparation. In addition to fun group activities in the evenings, such as a trivia night or movie night. This program offers 60 veterinary hours and 10 research hours, which contribute to a total of 80 service hours for the zoo and its community. Your group will be divided into smaller groups (approximately 5 students per group) for your morning animal activities so that you have a great opportunity to interact with the animals, get individual guidance, and observe up-close. For lectures, labs, and community activities, your group may be combined with another Loop Abroad group so that you can all learn together. Morning: After breakfast, break into small groups to spend the morning with one of 6 animal groups – big cats, small cats, cubs, primates, reptiles, or birds of prey (you will spend project morning with each of these 6 groups). During this time, you will prepare food for your animal group, clean their enclosures, learn about their behaviors and needs in captivity, and assist in training for certain behaviors. You may also provide physical exams, receive a hands-on anatomy lesson, learn proper handling technique, or assist in providing medical care or assessments, depending on the group and the animals’ needs. 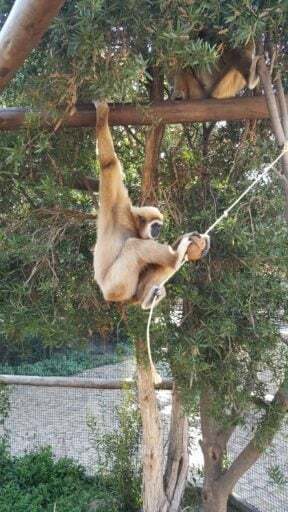 Guest speaker: Examples of expert guest speakers include Phillipe Cronje from Chimp Eden, VULPRO vulture conservation, Joanne Meyer on Southern Ground Hornbills, and Robynn Ingle Moller on animal welfare in captivity. 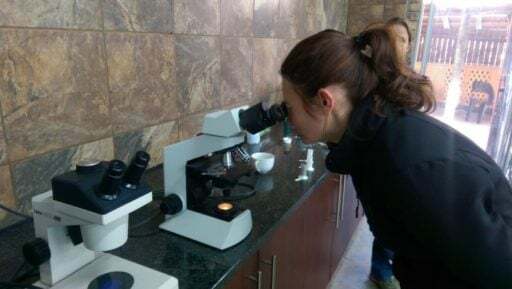 Veterinary Lab: Examples of labs include horse necropsy, examination of color mutations in lorikeets, health checks and feet cleaning of donkeys, wing and nail clipping of parrots, and surgical practice lab. Lecture: In general, veterinary lectures are approximately one hour and focus on the veterinary science behind your daily work. Examples would include nutrition of species in captivity, anatomy of big cats, and physical exams for reptiles. Research hour: On the first day of the program, your small group will be assigned one of the six animal groups as your research focus for the duration of the program. You will perform approximately one hour of daily research (behavioral observation) on your animal group in order to inform your creation and implementation of an enrichment project. Not all weekdays will follow this exact schedule. For example, there is one “veterinary day” per week where the zoo veterinarian team performs care such as vaccinations and deworming, and your schedule will be adjusted so that you can observe, assist, and learn. We will have one day of community outreach, where we will visit two community schools and assist in the zoo’s projects at these schools, and we’ll have a chance to enjoy a relaxing encounter with the park’s ambassador animals. 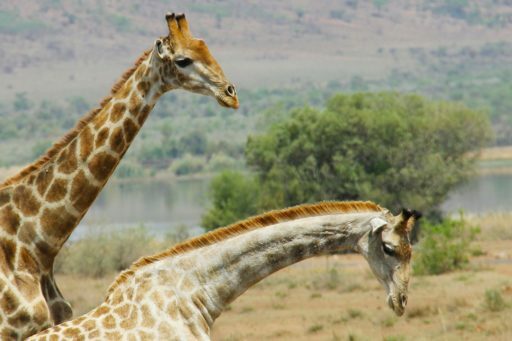 On the middle weekend of the program, we will enjoy a two-day safari to Pilanesberg National Park, where we will get out into nature and enjoy some game drives at one of South Africa’s biggest national parks, where we have the chance to see elephants, hippos, crocodiles, giraffes, leopards, zebra, and all kinds of wild African species. On the final Saturday of the program, you will implement your completed enrichment projects and present them to the other groups along with your research. We will depart on Sunday. Students will fly as a group from New York and their group will be met at the airport on arrival by Loop Abroad staff. We will travel to Lory Park, where you will have a Loop Abroad orientation and settle in. The first full day of programming at the zoo is an orientation to the procedures, protocols, and animals there, including animal safety. Students and Loop Abroad staff will live on the zoo property, which is surrounded by a high electric fence (common in South Africa). There are zoo staff who live on the property as well. In case of a medical emergency, vehicles are available at all times on property that can provide transport to the nearest private hospital, which is approximately a ten-minute drive. We will have days off-campus, such as travel to local schools to educate about conservation and our overnight safari trip. This travel will be done as a group in private vehicles – students are not permitted to go out on their own in Johannesburg.